We released our Drips & Script logo this week. The Gold is slapped on a Black tee and is so classy – so fresh. The Script is a bit on the DL but not deathly, Black on a Charcoal Grey Shirt. Free Shipping for a limited time. If your reading this and do purchase a shirt, im hook it up. Don’t Sleep. MELE KALIKIMAKA or Merry Christmas, we hope that you have a blessed Christmas and spend time with the ones you love. God Bless. The Lightsleepers is deeply rooted in Jazz music. If not for that, there would be NO Hip-Hop. With the passing of the time the legends our fathers grew up are now players of instruments for the King of Kings. Livicated to Yusef Lateef. The last Honolulu Night Market of the year is going Rogue. Redbull is bringing a doomsday truck with a soundsystem on steroids. Contrast Magazine is having their annual, Anticanvas, art on boardshorts. We’ll be banging it out same as ever with Baby Jesus day specials. 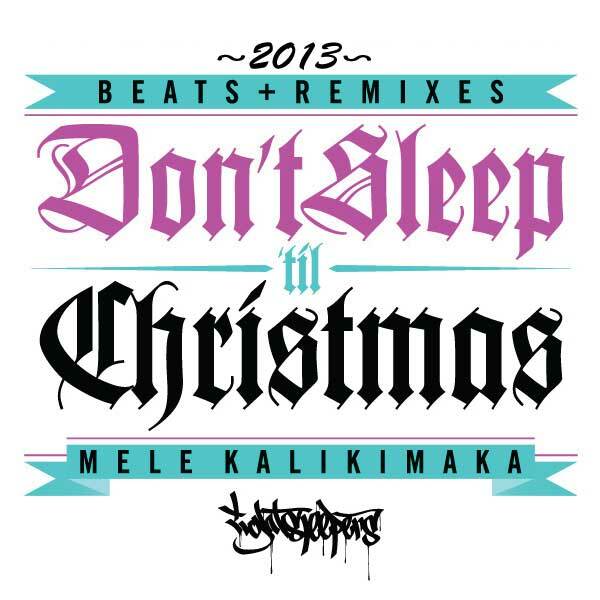 Our friends 808 All Day from Maui will be flying over along with The Crappy Kids and Chordinauts. See you Saturday. Don’t Sleep. The Sony VX1000 is the equivilent to Hip-Hops Technics 1200mk2. Even though technology allows us to shoot in digital and play music in digital, nothing beats the grit and grime of analog, well in this case Digital Video. I have no clear reason why this is the Tech12s of skateboarding but as long as i remember this was the camera i wanted and thanks to DJ Kutz (good looking out) i got this one for $75! Ebay its going for $400+. I don’t wanna make a career of filming i just wanna film some tricks, lines, and some bangers. Then edit and score it with original produced music. I don’t know anyone that does the full gambit. Like how Mr. Dibbs scored the Alien Workshop video, but we gonna film, edit, and compose. Lets Go! Kids Sleeping. Don’t. 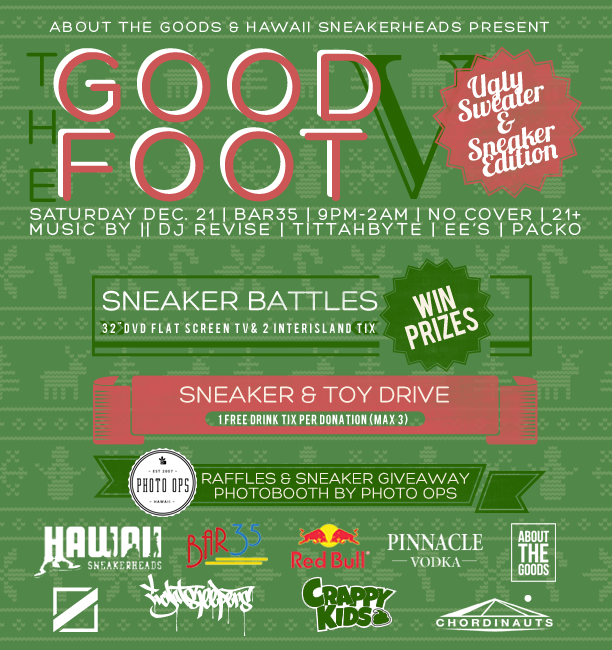 This Saturday after Nightmarket, we got The Good Foot at Bar35! If you got that ugly sweater and shoes it time for you to dust em off and rock dem yawns. Bring a Toy to get a free drink. Win Win. Big ups to About the Goods on another dope event.